As part of my wider reading for Duddon Bridge (see 7mm section for the layout), I’ve started to become a bit of a fan of the Maryport & Carlisle Railway. There doesn’t seem to be many books published on the line - I’ve ordered myself a copy of the Oakwood Press book from 1947 from Amazon, but I’m not sure what else is out there. Any suggestions as to suitable books please would be greatly appreciated? I’m also after suitable drawings if anyone knows of any please. My collection so far comprises of the 6-wheel All-Third (Model Railways April 1980), Horsebox No.4 (Model Railways February 1974), and the 10T low sided wagon (no clue which magazine as it came in a job lot from eBay). Ooh that’s rather nice! Depends on how long it was in service for, and what time period I actually settle on for the layout (still trying to work it out as plenty that I want to include). Thanks for the book info Richard, shall investigate those. The Herbert and Mary Jackson book is interesting, their approach is more local historian rather than railway enthusiast. There are more drawings in the model press, according to Leleux, although he gives only gives page numbers rather than month. There are Hardin-Osborne drawings of an 0-4-2 and 0-4-2T in Modeller, 1965, pages 47 and 135, the latter may be correspondence, and an 0-6-0, No 29 and 30, in RM 1971, page 126, and an 0-4-4T, No 26, in MRC Page 86, 1960. MRN 1967, p20 has coaches, 6w brake third and 4w full brake. 8T van, MRC p184, 1965, Van? RM p164, 1956, 10T brake van, MRN p175, 1952, 10T low, MRN, p57, 1961 and 9T low, MRN p354, 1960. The index only goes up to 1972, so later items will be missing. You could try contacting the Cumbrian Railways Association, they produced the slim volume, Maryport & Carlisle 150, although there is not a lot in it. Having worked in Maryport for a period on a construction project to "genrify" the dock area I have searched for information on the line. There doesn't seem to be much printed in book form other than what you've already identified. You can't walk around Maryport without tripping of some old rail alignment. I did have a plan to model a joint LNWR/CR/M&CR joint station at one point but it all felt a bit contrived so never progressed. 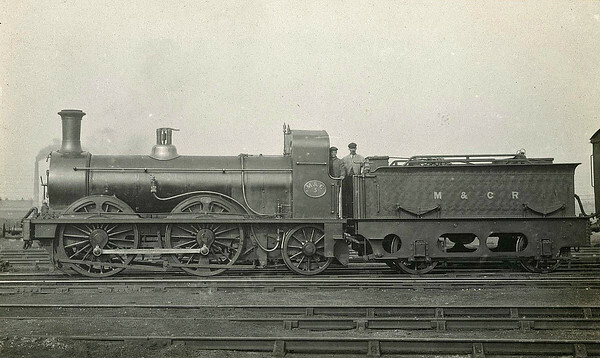 Here's one of the 0-6-0 engines a close copy of an H&BRly type. Way back over 40 years ago, I remember being taken to the Glasgow transport museum (the old one) by my aunt and uncle (well probably me dragging them!) . I distinctly recall there was a superb static pre-grouping model of Carlisle Citadel in something that looked like 2mm scale. It was old an dusty even then but still wonderful to my young eyes packed with railway companies I had never heard of at that stage. I often wonder what happen to it. I did go back look about 20 years ago but it was absent. I think there were also some coaches in the LNER + LMS coach drawing book and presumably in the updated version where the 2 companies were split into separate additions. I passed some drawings of M&C carriages to the Cumbrian Railway Association a while ago. I took photos of them first which while no good for modelling from may give you an idea if they would be any use to you. a couple are attached. It was a 4mm layout with outside third rail collection IIRC (or maybe stud contact). It was donated to the museum by the deceased builder, but, to get it out his house, the museum staff simply cut the baseboards into manageable chunks, right through track and everything! There was a proposal at one stage to rebuild it, but that never got off the ground. Oh my that takes me back. I built a model of that coach. Locomotives Illustrated #111 "The British 0-4-2" has pictures of three of the M&CR engines which survived till 1923, and some details of all the 0-4-2s built by the company. By coincidence this month's BackTrack magazine has an article on the Maryport and Carlisle. I'm not sure if there is anything excitingly new in it, but it is freely available, at the moment. Many thanks for your assistance so far, it really is greatly appreciated. Chassis members are from my usual Evergreen 250"x100" strip, W-Irons are Slaters, but I may change these depending on what I can find in the spares box later today. Glad to see you have been able to unpick some of the Leleux references. I would add the LI 111 ph recommended, as it contains details of the 0-4-2's that didnt make it to grouping. Ahrons' Volume 2 of Loco and Train Working in the 19th Century has 5 pages on the M&CR and 4 photos. The horsebox drawing, with 2 photos, also appears in the Pendragon Drawings of NPCS and Volume 2, LMS and Constituents has drawings for the third six-wheeler, and a full third bogie coach, the latter looks, to me, very similar to the LBSCR 48' stock. Finally, Volume 2 of LMS Locomotives, by Essery and Jenkinson, has failry comprehensive coverage of the M&CR locos that survived to grouping, with 20 photos covering most, if not all, of the classses. The photos are generally good reproductions, which, sadly, isn't the case for the Jackson book. I found my copy of that and reminded myself that the bulk of the book describes the various apprentices that served at their works, with a chapter of memories, although there is a fine concise outline history to start the book. Glad the scan I sent by PM worked OK. In reference to your list above the April 1971 drawings in RM of the 0-6-0 locos 29 & 30 are also by W.Hardin Osborne in 4mm scale. This drawing shows the right hand side and the frontal view of the loco and a split view of the tender. Drop me a PM if you want any more info. The September 1976 issue of RM has a 4mm scale drawing of the left hand side of no. 29 by W. D. Stewart as well as two photos of both locomotives - 29 in Yorkshire Engine Co. works grey and 30 in M&CR green livery. 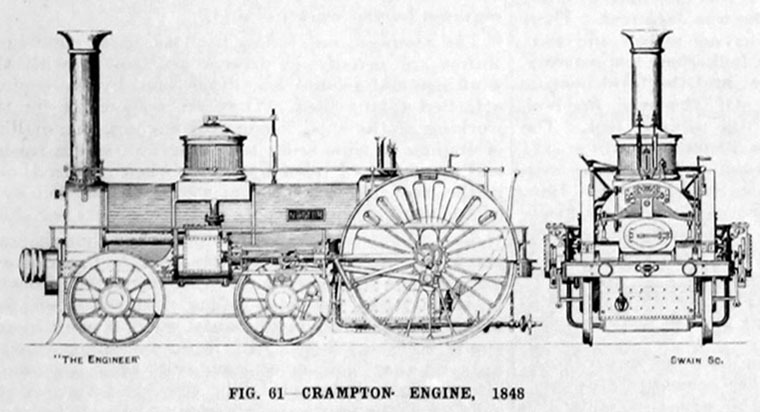 The same article has a drawing of the very similar H&BR locos 157 to 161 on which they were based. I'd forgotten that I have copies of the Carriage and NCPS drawing books, as well as the LMS Locomotives Vol.2, so they've now been dug out and added to the reading pile. I'd also completely forgotten that I've had a copy of a drawing of the M&C Brake Van in my collection for longer than I can remember, so that's also been dug out and added to the list. It's a lovely outside framed example with a second set of lower buffers for dealing with the chauldron waggons. The bodywork is now complete, I just need to sort out the extended end stanchions now which protrude below buffer beam level (to permit buffing with the chauldron waggons). I think the best route to tackle these is to laminate a number of lengths of plastic strip together to get the required width and thickness, I should then be able to sand these down to the shape dictated on the drawing. I’ll then need to sort out a suitable tin of paint to finish it off with. The Oakwood Press book on the M&C states that goods stock was painted ‘lead colour with white lettering’. Any suggestions for something suitable please folks?